Facing flak for the misuse of its platform – ranging from casual rumors to deadly lynchings – WhatsApp has launched its first-ever TV campaign in India. The company has expanded its efforts to address the challenge of misinformation and dangerous rumors, starting with newspaper ads and then moving on to radio campaigns, to create awareness among users. The first phase of the campaign was kicked off on August 29 with ads across 46 radio stations of the All India Radio (AIR) in states like Bihar, Jharkhand, Madhya Pradesh, Chhattisgarh, Rajasthan and Uttar Pradesh. 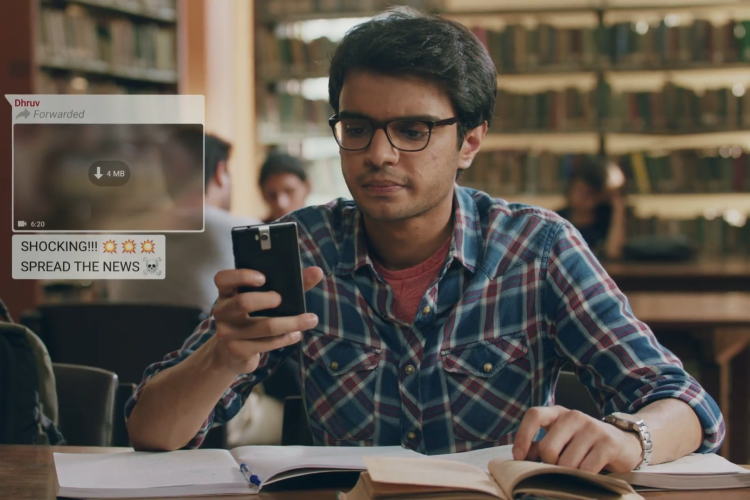 For the TV campaign, WhatsApp said it worked closely with filmmaker Shirsha Guha Thakurta to develop three 60 second films that each convey real scenarios about dangerous rumors that can spread among users. You can watch all three films in English and Hindi here. Over the last several months, WhatsApp has made a series of changes including labeling forwarded messages to inform users when they have received something not from their immediate contact and set a limit on how forwarded messages can be sent. In addition, it bans accounts that engage in unwanted automated activity.